The Navy’s push for a more lethal force could route money away from the service’s cadre of medical professionals, USNI News has learned. Service medical community leaders at the Bureau of Medicine and Surgery (BUMED) are worried a Department of Defense plan will reduce the number of military medical personnel across all service branches, possibly as early as the Fiscal Year 2020, according to command guidance viewed by USNI News. 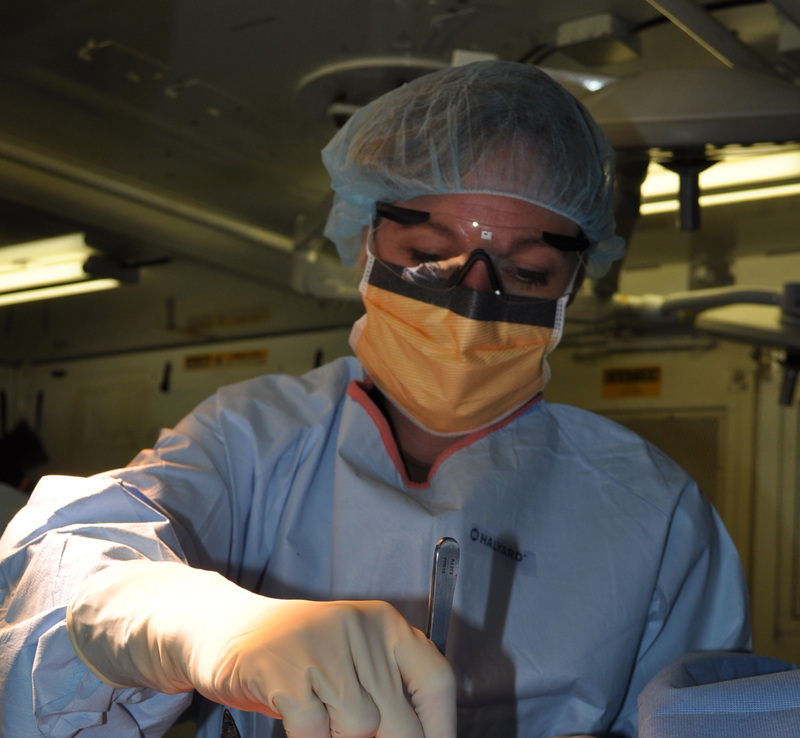 The BUMED guidance explains that DoD officials are considering the military medical billet reduction as part of the Program Objective Memorandum (POM) 2020. Each service branch is to manage how they reduce their medical staffs. “We expect many of the billet cuts to the Navy medical department will be re-invested in other Navy priorities and communities that increase lethality,” the BUMED guidance stated. The total number of billet cuts under consideration is not known, according to the BUMED guidance. Navy Medicine has about 63,000 personnel providing health care around the globe to active duty sailors and Marines, their families and veterans, according to the Navy. The possibility of cutting the number of medical personnel comes at a time Navy leadership routinely talks about growing the force. The Navy finished FY 2018 with 329,851 active duty personnel, according to the Department of Defense. The Navy is authorized to have 335,400 active duty personnel, according to the FY 2019 National Defense Authorization Act. During the next couple of decades, as the Navy’s fleet expands to a planned 355 ships, more sailors will be required to operate the additional ships entering service. When asked how possible cuts to Navy medical staffing levels will affect the readiness of a Navy with more personnel, BUMED officials directed all future budget questions to the Navy’s Office of Information. For now, any talk of pending Navy medical staff reductions in the negotiations for the Navy’s future Program Objective Memorandum (POM) are premature, Navy spokeswoman Lt. Lauren Chatmas told USNI News. “Anything you may have seen about POM-20 are just options as we strive to find the best balance to support the defense strategy while also being responsible stewards of taxpayer dollars. This is what the POM process is for – to review all accounts in determining the best balance of investments,” Chatmas said. However, Navy medical leaders expect the possible funding cuts will reduce staff in operational medical capabilities – such as expeditionary medical facilities – and reduce the scope of services available at facilities across the military health system, according to the BUMED guidance. A reduction in funding for graduate medical education and other medical training programs was singled out by BUMED leaders as one cut they intend to fight. The Navy is months away from finalizing its contribution to DoD’s POM-20, but BUMED is already creating a strategy to “request partial restoral of POM-20 issue cuts; especially Student/Training accounts,” according to the BUMED guidance.